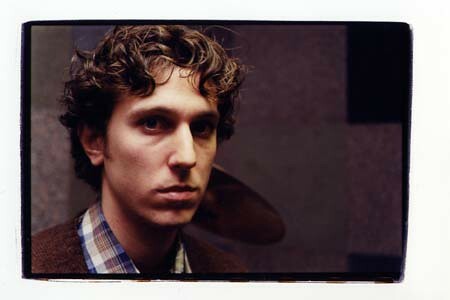 Led by singer/songwriter, Tony Dekker, whose melancholy vocals seemingly float above the music, Great Lake Swimmers are a rustic, pioneer orchestra drifting across a wilderness lake, with Dekker's vocal the devoted missionary sent forth to gather in those that have lost touch or faith in the Holy Trinity mentioned above by Uncut magazine. "We are basically a quiet, alt–country flavored, independent band who play thoughtful, shaky folk music,” says Dekker. “Come and see us if you’d like to have a quiet night out.” -- From this article by Michelle Lobkowicz. Their most recent work, 2005's Bodies and Minds, is out now in Canada and will swim onto US shelves in August. Insound just put up a new GLS mp3.